Merge old world tango aesthetics with jazz, flamenco and classical music and you have the distinctive sound of Tango Lorca. Formed in 1999, in Kansas City, this ensemble has created a continually growing body of original compositions and arrangements equally suited for the dance hall or the concert stage. While evoking an Argentine sentiment with classics from the "Golden Age", they also create new, innovative works. Tango Lorca plays their music with a deep understanding of tradition as well as an obsessive desire to evolve the art form. Vuelvo al Sur , composed by Astor Piazzolla and performed by Tango Lorca is featured in the milonga scene in The Heart Of Tango. This song was released on Tongo Lorca's CD Mujer Sola. Beau delves into flamenco, tango, classical and jazz. 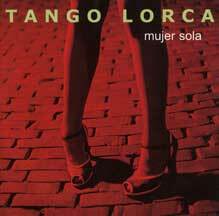 Besides Tango Lorca he co-founded the record label Tzigane and the flamenco music and dance school Manos Rojas.